So, if you are in the mortgage biz right now, you know what heck you are doing and enjoy doing it. Let's face it … one of the only positive effects of the mortgage meltdown is that there has been a mortgage originator cleansing. Those who were just able to pick up phones and take apps on easy deals are gone the way of the handwritten 1003. Today, we are left with crème de la crème … those who have their business built on networking, relationships and reputation. 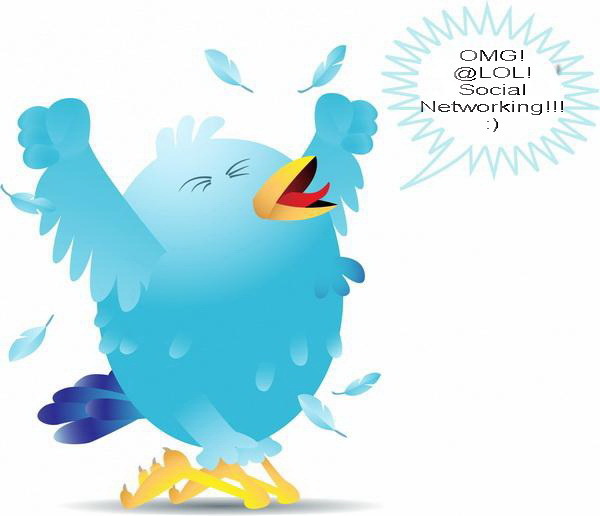 If you haven't already embraced Twitter, I'll share with you some ways to look at Twitter that will help you to go from an anti-social networking outsider, to a highly connected mortgage professional. You don't need to let them know you got done getting dressed, ate an apple or walked your dog … you decide the message and its tone! It seems there is still a lot of resistance to share every innate details of one’s life (personally I think this is a good thing). You only share what you want to share. Some feel the need to share it all, while others only share certain professional messages. The communications you send out will sync up to the referral partners you will be comfortable doing business with and the borrowers who want to do business with you. While you might not think it that way just because you are not some celebrity or reality TV icon that the world is enamored with for no real good reason, it doesn't mean that your network of contacts and potential new contacts wouldn't want to know about what's going on in your world. These types tend to just publish rates, maybe a good quote here and there, but are really doing social networking not so much because they bought into it, but because they feel they have to. This type seems to have found the sweet spot. This is where you do what Mark Madsen calls “Let the Web work for you, don't work the Web.” You share what you have planned for the day that is out of the ordinary from your other days, share good news or even what someone like Rhonda Porter from Oregon does where she shares mortgage quotes and scenarios on Twitter (i.e., @mortgageporter: Quoting 4.125% w/1 pt. for 15 yr.-fixed $415k loan rate-term refi You can even get personal by posting new places you have been to (maybe some photos), new food you have tried and major milestones with your family and personal life. This will help to build rapport with your networking partners and clients by showing the personal side of you. Effectiveness: Very. This seems to be the sweet spot are far as a “time put in” to “benefits gained” ratio. So they think that their adoring public wants to know every single boring detail of their life. From when they brushed their teeth first thing in the morning, to drinking a glass of water before their head hits the pillow. These users try to inject as much wit into each of their posts as possible. This group will let it all hang out. From the mundane details of their life to what some of us find inappropriate. However, some people will find this interesting and they will get followers! Daily updates: Anywhere from 10 to infinity! Once you have started to share your world (well, what there is to share) you then start to engage other Twitter users. They can become your contacts, or from contacts you find by using Search.Twitter.com or Tweet Grid (thanks to David Orsini in his last NAMB Communications Corner article for sharing this in the September 2009 issue of National Mortgage Professional Magazine). You can search “open house” in your area and find agents announcing their open houses or buyers heading out to one. Twitter allows you to engage with contacts that you may not even know. Andrew T. Berman is executive vice president of NMP Media Corp. and a member of the NAMB Communications Committee. You may follow him on Twitter @andrewtberman. He may be reached by phone at (516) 409-5555, ext. 333.